A taxi firm boss was caught at the wheel of a minibus carrying five passengers when he was banned, a court heard. Shaffa Ali Ahmed, of BCN Taxis, Colne, had been disqualified weeks before, told police he knew he had been ordered off the road under the totting up procedure. He said: "I need to make a living. No-one else will. I have got four kids at home," when he appeared at Burnley Magistrates' Court. Ahmed was spoken to by police after he came off the M65 at junction 14. He had been banned in his absence on March 14th. Mr David Leach (defending) said he had pleaded guilty at the first opportunity and it was his first conviction. He had always worked, never claimed benefits and was a businessman. The solicitor added: "At the end of last year he became ill. He was recently diagnosed with diabetes. Some of his businesses suffered because of his ill-health and he lost some of his employees. He had to undertake certain aspects that he didn't normally have to do, such as driving. A commitment was made for his company and he honoured that commitment. "He may have perhaps underestimated the seriousness of what happened. He is a good, honest, hard -working individual. He is genuinely remorseful." Ahmed, of Ashton Drive, Nelson, admitted driving while disqualified at Colne, on April 29th. He was given an eight week curfew, between 7pm and 7am, from Monday to Thursday and was banned for six months. 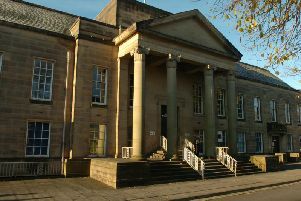 The defendant was ordered to pay an £85 victim surcharge and £85 costs.